JSE-listed technology company Ayo [JSE:AYO] on Wednesday announced significant changes to its board of directors, including the appointment of a new chairperson. Four members of the board have resigned, namely Khalid Abdulla, Walter Madzonga, Telang Ntsasa and Mbuso Khoza. Salim Young has stepped down as the independent non-executive chair, but has stayed on as an independent non-executive director, said Ayo Technology Solutions in an update to shareholders. Then new chair of the board is Dr Wallace Mgoqi. He is joined by the head of the Federation of Unions of South Africa, Dennis George, executive chairperson of Xpanse Investments, Sello Rasethaba, and the CEO of Bridge Of Hope Wines, Rosemary Mosia, as independent non-executive directors. According to Ayo, Mgoqi is a former attorney and advocate of the High Court of South Africa. The group's share price was up 4% at R26.00 per share on the JSE at 11:31. 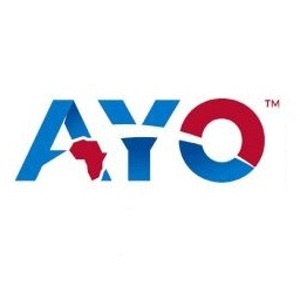 In a statement Ayo said the changes came in the wake of engagements with shareholders about ensuring "stronger representation of independent non-executive directors". As Fin24 reported earlier this month, an analysis of Ayo shareholdings as of the end of July 2018 showed its shares have been acquired almost exclusively by people tied to businessperson and press baron Iqbal Survé and his family’s Sekunjalo Investments, the ultimate parent of Ayo. The Public Investment Corporation controversially decided to underwrite Ayo’s entire private share placement before its listing in late 2017 with a R4.3bn injection, despite internal concerns that it was overvalued.